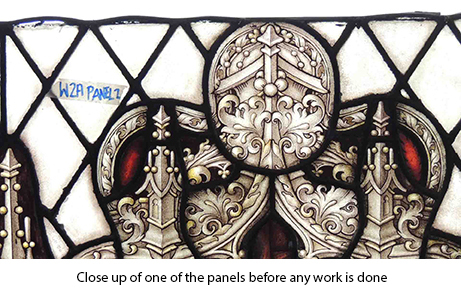 Ark Stained Glass were tasked to restore the stained glass windows on the left of the nave. 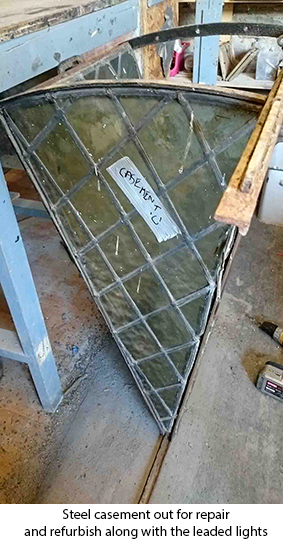 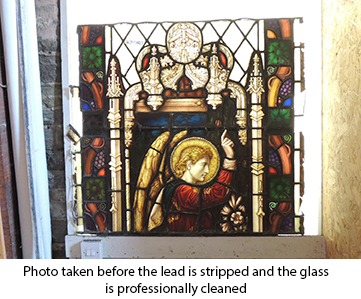 In poor condition the glass was in need of cleaning and repair paints, with all the lead being replaced, new bars made and window protection guards made. 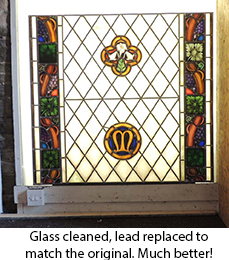 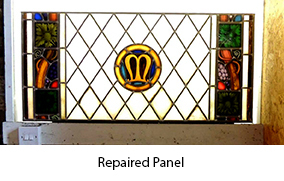 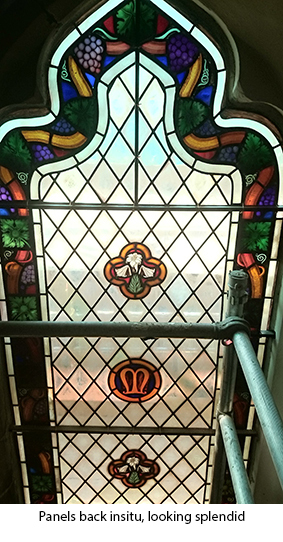 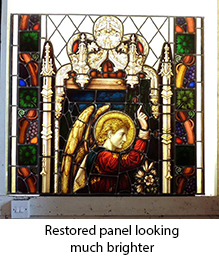 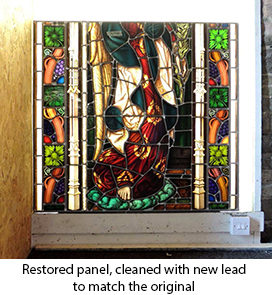 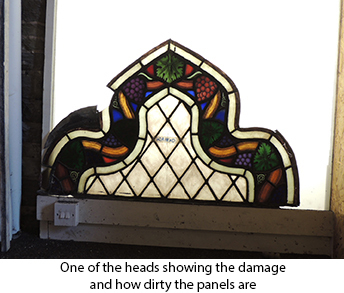 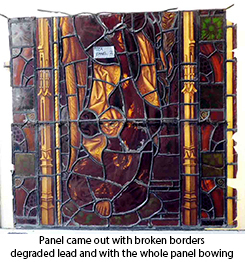 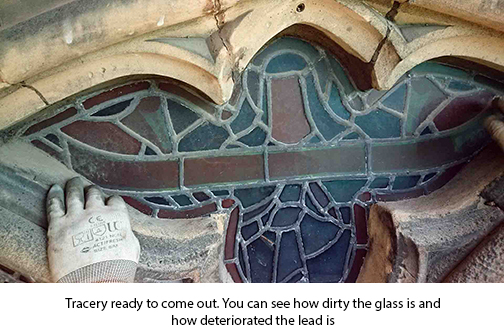 The team worked carefully to protect the beautifully painted glass, meaning that only minimal repair painting had to be done to mostly border pieces. 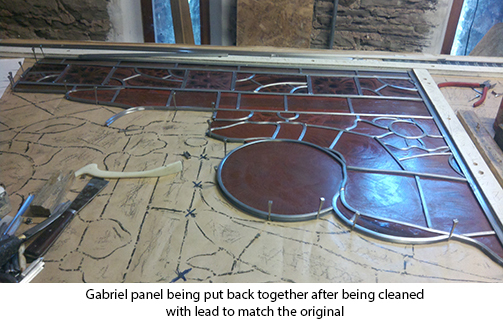 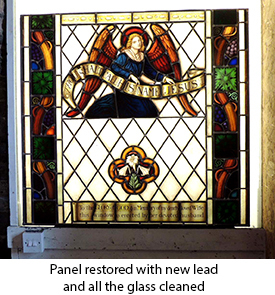 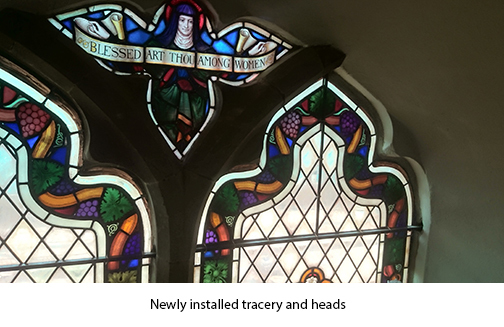 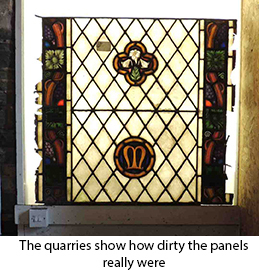 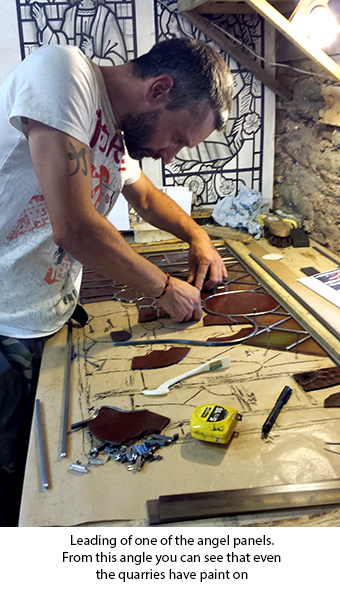 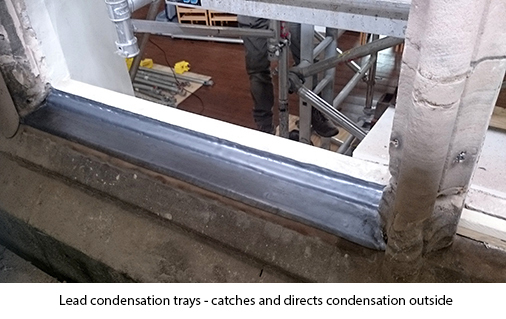 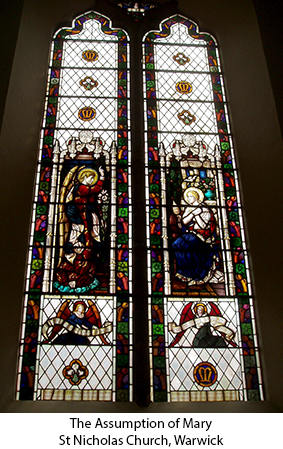 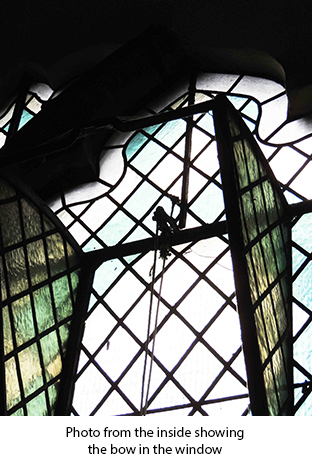 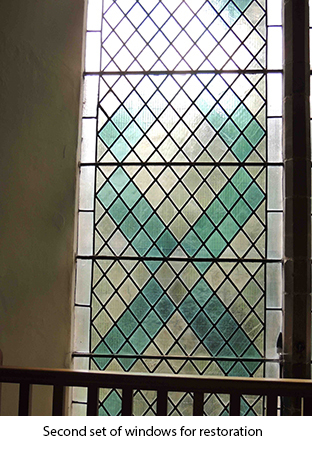 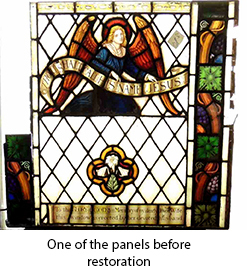 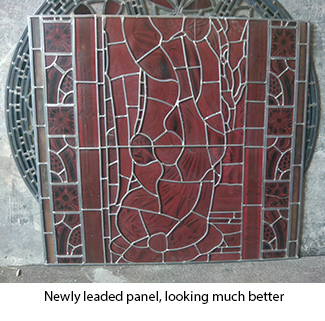 These windows proved to be more difficult than other windows of its time as the panels were both wider and taller than usual; some being over a metre wide and high. 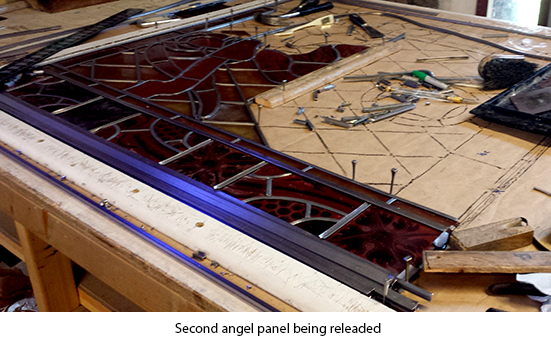 This meant a lot of panels were moved with boards and/or on trays to avoid breaks. 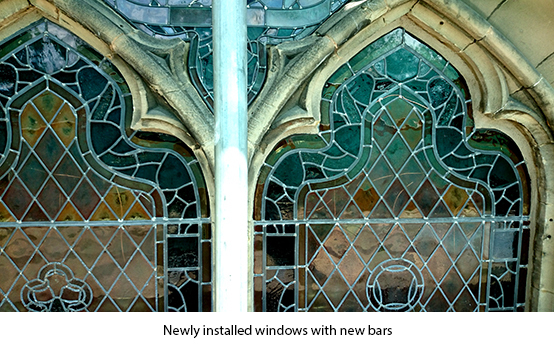 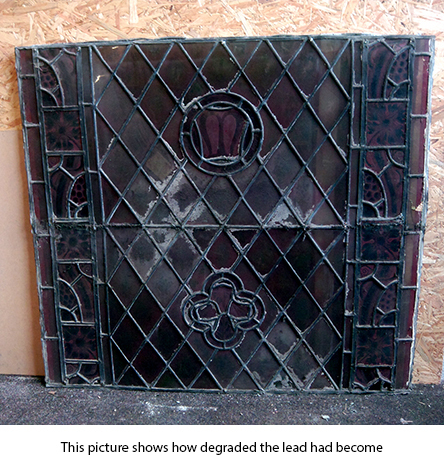 The result however is these windows being put back insitu, looking just as they did the day they were first created and able to stay where they are for another century. 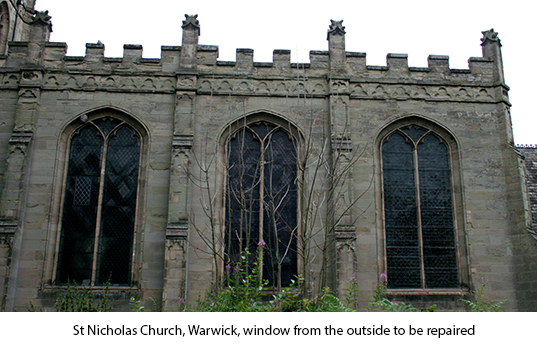 St Nicholas Church in Warwick is an unique, late 18th century building and centre; St Nicholas Church guards the southern entrance of old Warwick and is in the centre of the city. 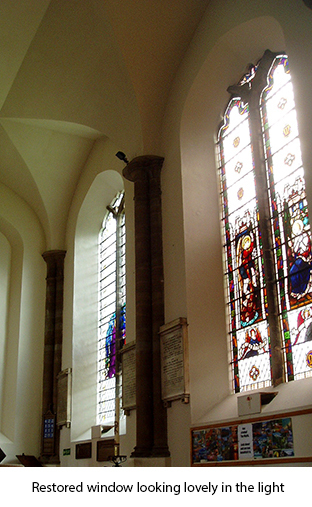 The present Church was built in 1785, replacing a decaying medieval church, the roots of which lay in a former Saxon nunnery on the site. 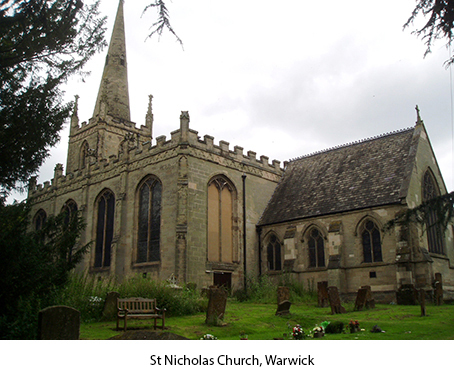 St Nicholas is an unusually fine example of Gothic revival architecture, pre-dating the Victorian excesses, and displaying a rare, delicate, simple style.